Continuing the discussion of 10 prehistoric fish that are still alive today. Now we will enter the second part. These fish are Including a group of ancient Osteoglossids, these fish already existed in the Jurassic period. Today, they are found in the Amazon, and in parts of Africa, Asia and Australia. Sometimes kept as exotic pets, arowanas are voracious predators that feed on small animals they can catch, including birds and bats. They can jump up to 2 meters into the air. In China, arowanas are known as "dragon fish" because of their appearance, and they are thought to bring good luck. These are including close relatives with arowana, Amazonian arapaima is sometimes considered to be the largest freshwater fish in the world. According to early descriptions, this fish can grow up to 4.5 meters in length, but now, the individuals who are most like this is rare and the average adult arapaima found only 2 meter length. These slow moving predators and feed on small fish, and anything else that can fit in their mouth. An interesting feature of this fish is that they need oxygen to survive. Arapaimas harmless to humans and are often hunted for their meat, unfortunately, they are very rare nowadays. Although the arapaima seemingly appeared in the Miocene period, but they get much older family, the Osteoglossidae, and its origins can be traced back to the age of dinosaurs. According to the fossil record, hagfish have existed for over 300 million years, which means they've been there long before dinosaurs ruled! 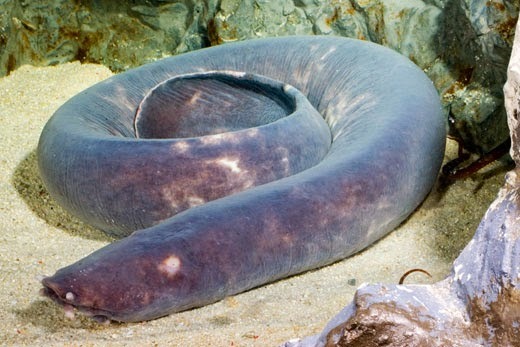 Found in relatively deep waters, these animals are sometimes called slime eels, but they are not really eels, and actually, they also can not be said of the fish at all, according to some scientists. They are very bizarre animals in all things, they have a skull but no backbone, and they have two brains and almost blind. They feed at night and eat the carcasses of large animals that fell into the sea. They naturally produce mucus that damage the gills of predatory fish, as a result, they have virtually no natural enemies. Lancetfish clearly has a "prehistoric" appearance, with a grim face, sharp teeth in its jaws, and the screen on the back, reminiscent of some dinosaurs (although in lancetfish, the screen is actually a broad dorsal fin). Even its scientific name is also similar to dinosaurs name, the Alepisaurus ferox. Up to two meters in length, this predator is found in all oceans except for the polar regions, very greedy, they eat small fish and squid, and are also known to sometimes he ate members of its own species. Another survivor who survived the age of the dinosaurs, sturgeon, known as one of the main sources of caviar; due to overfishing, these unusual armored fish are endangered today. 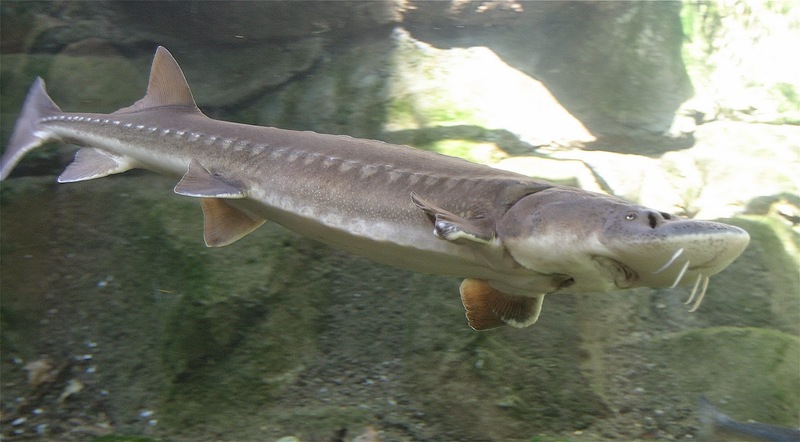 The largest sturgeon species can grow up to 6 meters, and the growth of the white shark.